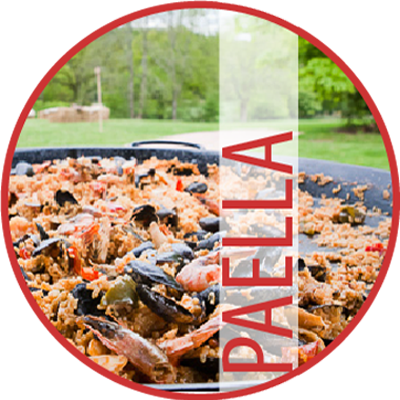 Cooking paella isn’t just about the food; it’s a spectacular party piece and a great communal dish. 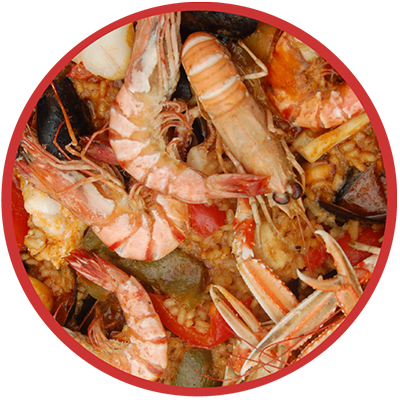 Paella parties are also a great way of catering for guests with different dietary requirements; vegans, vegetarians, pescatarians and meat-eaters alike. All our paellas are gluten free and most are lactose free. Cassie Rowley: 'Melissa and her incredible team catered for our wedding. The smell of wonderful paella filled not only our reception venue but the little village where we got married. Our seafood paellas: monkfish, mussels, squid and prawns; black rice with squid; langoustine, monkfish, prawns and clams; mussels, squid and prawns. Our mixed paellas: chicken with mussels, squid and prawns; lamb with anchovies and piquillo peppers; chicken, chorizo and langoustine. 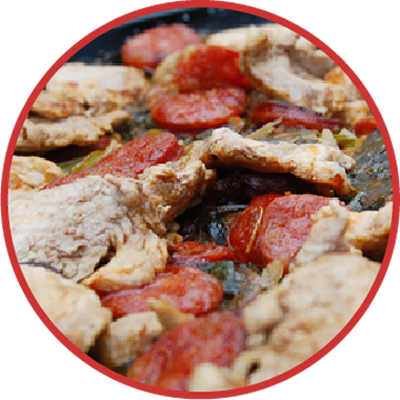 Our meat paellas: chicken, pork, chorizo and chard; lamb with preserved lemons, pine nuts and dates; Jamon, artichokes, broad beans and asparagus; chicken with artichokes and Oloroso sherry. 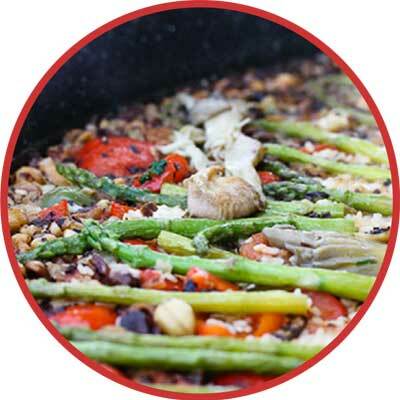 Our veggie paellas: wild mushroom, asparagus and hazelnut; globe artichoke with piquillo peppers and wild garlic; Paella Andorra - asparagus and Manchego cheese (non vegan).